Real Techniques Miracle Blotting Cushions create a smooth and mattified finish. These multifunctional cushions are a great substitute for blotting papers. 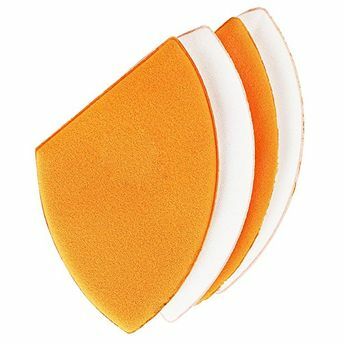 They are washable & reusable, you'll get a longer life from blotting cushions than from traditional blotting papers that are used once and thrown away. Can be used with or without makeup. Creates a smooth and mattified finish. Ideal for liquid foundation or cushion foundation. Great substitute for blotting papers. This pack contains:Miracle Blotting Cushions X 4.